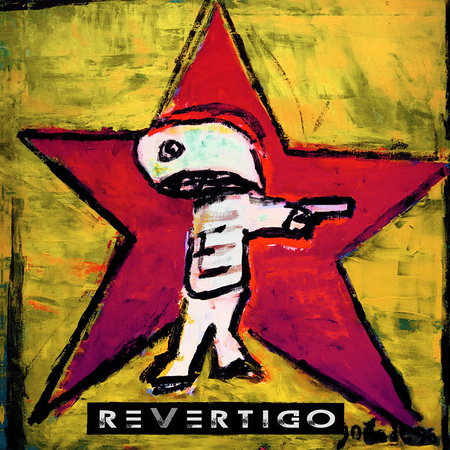 “ReVertigo” is the excellent, self titled debut album from a duo consisting of vocalist Mats Levén and guitarist Anders Wikström. It was released on 23rd February by Frontiers Music. The two musicians have known each other since the early 90’s when both were part of Swedish band Treat and they have been planning on recording together again for some time. The resulting album is very much worth checking out. I’ve included the track “Hoodwinked” on the Friday NI Rocks Show this week. Mats Levén has recorded vocals for many albums over the past thirty years; either as the principle vocalist or as a guest. He is currently the lead singer for Candlemass and has recorded with Therion, Yngwie Malmsteen, Treat, Gus G and many others. Anders Wikström was a founding member of Treat in 1981 and remains with that band. The two started writing for the album in 2016 and made the decision to play all the instruments themselves; with the exception of the drums. Those are provided by Thomas Broman (Michael Schenker / Electric Boys). There’s a quote from Wikström in the press release that pretty much captures the appeal of the album – “We might not be reinventing the wheel, but we’re certainly putting on fresh tyres.” There are 11 tracks on the album and not one that I would skip past; which is the ultimate test really. It’s hard to pick out favourites, but “Hoodwinked”, “Sailing Stones”, “The Cause”, “False Flag” and “Joan of Arc” would certainly be amongst them.